Promotes rejuvenation and proper function of the immune system* 9.4 oz. Colds, flus, asthma, allergies, chest congestion, cough, fatigue, general debility*. This chyavanprash is made with all certified organic ingredients. 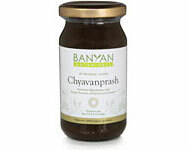 Chyavanprash is a traditional Ayurvedic herbal jam made in a base of amalaki fruit, a rich source of antioxidants. This excellent rejuvenative nourishes and strengthens the body, providing energy and vitality. Chyavanprash is an excellent method for daily herbal consumption due to its unique constituents of cane sugar, ghee and honey. Proven effective over a thousand years of use, these nourishing tastes play the important role of "carriers" that allow the herbs to penetrate deep into the tissues. 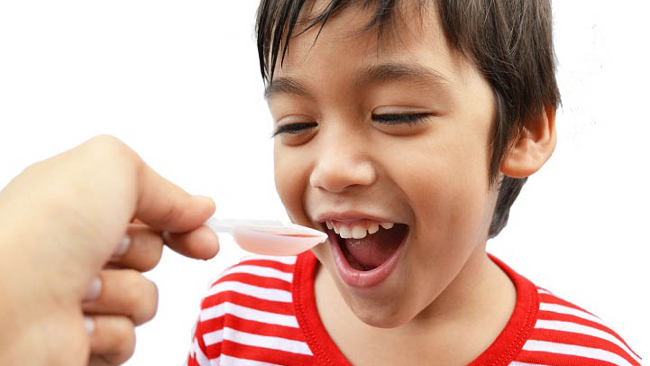 In a small daily dose (1 or 2 teaspoons), it makes for a tasty and very healthful treat. This tridoshic formula stimulates metabolism and enkindles the digestive fire without aggravating Pitta. It balances Vata and Kapha while strengthening the body against the effects of a stressful lifestyle. The energizing herbs bolster the immune system and help maintain health and well-being throughout the year*. 1 tsp with meals or as directed by your practitioner. Chyavanprash Nutritive Jam (9.4oz) may be beneficial for these symptoms. The suitability of any product for a condition is highly dependent on the individual. Please see your doctor before using this product to treat a medical condition. Can chyavanprash jam be added to hot water? Yes, you can mix it with water, or take it straight. What are the ingredients in the jam, or at least what is the base? Thanks! The jam is made in the USA. Can Chyananprash be taken during third trimester of pregnancy? We suggest you stop taking herbs when you become pregnant. Always check with your primary physician. Very potent. Can only tolerate 1/4 tsp. Can this be used in conjunction with Healthy Vata? We generally say take no more than two herb formulas at a time, and space them out (i.e. taking one in the morning and evening, and the other before lunch and dinner). Consult with your Ayurvedic practitioner to see if this will work for you. It's hard to give advice for specific individuals such as your 2 year old without more information. Generally, herbs are not recommended for children that young, but this could be appropriate for your son depending on his condition. It's best to work with a practitioner when using herbs. Taste delicious! A jar of nutritious goodness gracious! !